I was recently invited to attend a Global Dairy Forum organized in Shanghai during FHC exhibition on November 13. In particular, I was requested by organizers to deliver a speech outlining the market performance of Italian cheese industry in China. Despite this topic being out of my area of practice, thank to the help of Italian Dairy Industry Association as well as clients working in this industry I was able to collect some interesting data and – for once – it was big fun adventuring into this area – market data. It is well known that cheese is amongst the most difficult food products to seel on the Chinese market. The main reason is that Chinese are not used to this food and therefore – as of now – a very narrow slice of Chinese consumers is fond of cheese. Yet numbers show significant growth. 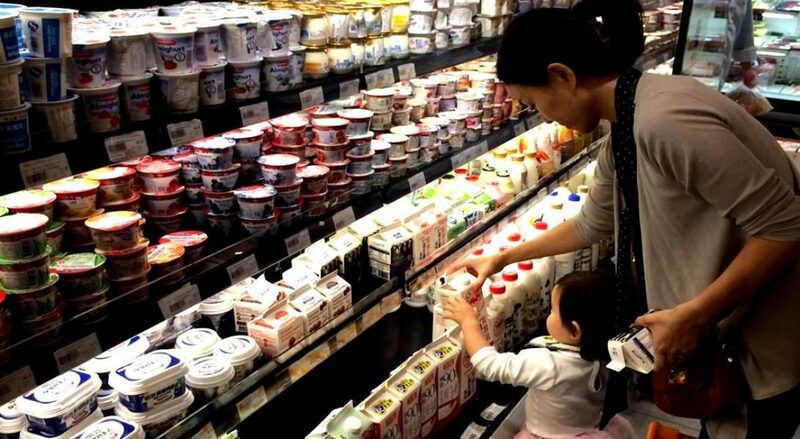 According to data shared by several speakers at the recent Global Dairy Forum held at Shanghai during FHC on November 13, 2018, Chinese cheese market is currently dominated by New Zealand (52%), Australia (18%) and USA (10%). According to Eurostat (COMEXT) data, in 2017 the first European Country exporting cheese to China is Denmark. Italy comes second – although I learn that data from other sources put France ahead (there is indeed an eternal competition – also in cheese – between those two countries!) With more than 3,000 tons out of 18,000, Italy is the second European supplier in China, accounting for 18,72%. Italy export in China is even better in 2018 (first 6 months), whit 2,264 tons out of 11,474 tons in China (19.73%). Clearly, from EU cheese industry perspective, China is not yet a top destination market. In 2017 the main destination of EU cheese were still USA (more than 140,000 tons), Japan, South Korea and Switzerland, China being on 11th position (with around 18,000 tons) right after Lebanon, Chile and U.A. Emirates. The same seems to be the trend in 2018, with China still on 12th position for the first 6 months of this year and 11,000 tons of cheese from Europe. Even less so from Italian Italian industry perspective. In terms of value, in 2017 France is the country that spends more to buy Italian cheese (517million euro) covering 20% of the export value, then Germany (424 million euro/16%), USA and UK (287 million euro/11% and 240 million euro/9%). In the top 10 we also see Spain, Switzerland, Belgium, Netherlands, Austria and Japan (from 5% to 2% of export value), while China ranks 21st with 16 million euro (1% of export value). In terms of volume, the ranking is the same, with France as main destination country (21% of total Italian export volume) and China down to 28th place (1% of export volume). However, if we look at the growth, China market numbers seem more ….cheesy. In China imported in 2009 10,700 T of cheese, while in 2017 it imports 109,000 T of cheese. Italian cheese export to Cina grew +40% in 2017 compared with 2016. Impressive number if compared with same period worldwide growth of EU (+3%) and Italian cheese export (+6%). What are the most exported Italian cheeses to China? Mainly fresh cheese like mozzarella (frozen), mascarpone. After those we have ricotta, Parmigiano Reggiano and Grana Padano, Provolone, grated cheese, Fiore Sardo and Pecorino. Import of Gorgonzola – as any other blue cheese – is slowly recovering after it dropped, due to the ban on importation of cheese with penycillum roquefortii between June-October 2017. This is rather different from the top export from other countries: mozzarella (blocks and/or shredded) for New Zealand, Australia, France; Cream cheese for USA. At the end, Italian and European cheese in general is constantly growing in Cina having a great success in China, but still there are some issues. Growth is mainly driven by HORECA channel – luxury hotels, restaurants, restaurant chain stores (pizza chains, fast food, etc…). On the other hand, retail sales are still very low – on average it is estimated that every Chinese eats 100g cheese per year …. (basically, the same quantity I daily grate on our pasta). This explains why mascarpone (widely used as ingredient for tiramisu and other dessert) ranks so high in Italian exports. The key to improve retail sales is of course educating Chinese consumers to cheese – it will happen for sure, but of course it is a time consuming process. Other challenges include tough competition from Australia and New Zealand, by far market leaders (70%), which enjoy free trade agreement and are already very well positioned in the market. Very interstingly, at the Global Dairy Forum some Chiense consumers – while acknowledging the high reputation enjoyed by EU cheese industry – at the sane time pointed out that EU cheese industry seems having a rather conservative approach to their product, while a market like China may grant recognition to product innovation (such as high-protein cheese sticks for children, as a Chinese cheese-loving mum said). Finally, this market is very fragmented, and it is crucial for cheese companies to identify a clear strategy and find the right partners to increase the export of Italian cheese in China.